Sprinkles New Cupcake Flavor! I want S’more! Although not photogenic, I had to show you the inside. The graham cracker bottom was genius! 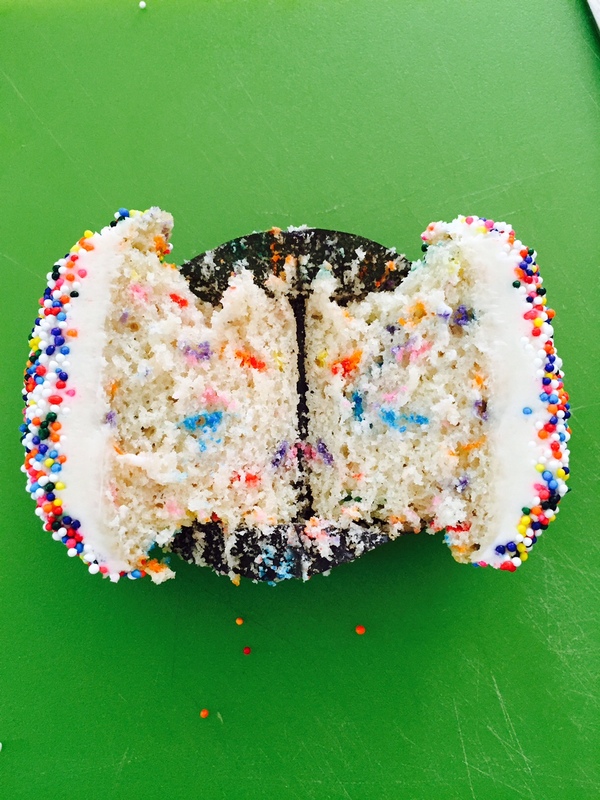 Blake Lively of “Gossip Girl” teamed up with Sprinkles to create a cupcake for charity. 100% of the proceeds from the SUPER FABULOUS S’more cupcake will go to Oxfam. Hurry up and go get one because it’s a top 5 flavor! It’s my 3 year Blogaversary! Three years down… So this little blog that could keeps chuggin’ along. 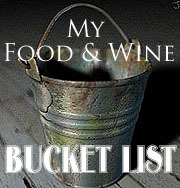 What to look for in 2011 from Bay Area Foodie: Maui madness in March, a 5 year wedding anniversary French Laundry dinner in July (if I can get a reservation), 4th of July in Carmel and a Boston Bonanza in August. Plus, we’re trying to lose weight by exercising more (Goal =5k in October) and eating right (when not on vacation :cool:) so I’m subscribing to Cooking Light Magazine. Get ready for some healthy recipes. I’m gonna leave you with my favorite photo of this month. Edison in much anticipation of eating his first “new and improved” Sprinkles doggie cupcake. The cakes are just like the real deal – soft and smell of vanilla. The old kind was solid as a rock. I know for sure they are made in-house now not sure if the previous version was outsourced or they just overhauled the recipe…either way Ed loves them!